ennifer McLagan has over 30 years experience in the food world as a chef, caterer, food stylist and writer. She has been called courageous, a contrarian and even a little crazy. In these dietarily correct times, she is definitely a provocative iconoclast who challenges us and makes us rethink our relationship to what we eat. And while she creates delicious recipes she believes that food is more than recipes. 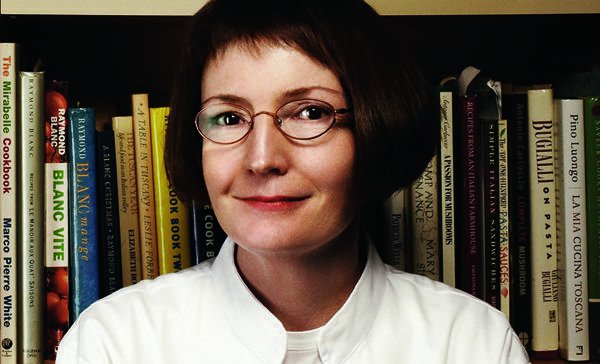 So equipped with a quirky sense of humor, a taste for the bizarre, and bowerbird tendencies she delves into food’s history, myth and culture adding to the literature of food and cooking Her book Bones won the James Beard Best Single Subject Cookbook award, a Gourmand World Cookbook award, and was a finalist in the IACP cookbook awards. Her second book Fat, won a Gourmand World Cookbook award, the Silver Sprout Award, and both the IACP and James Beard Awards for Best Single Subject Cookbook. The Beard Foundation named FAT Cookbook of the Year in 2009. Her third book, Odd Bits: How to Cook the Rest of the Animal, was pulished in 2011 to much acclaim by Ten Speed Press. 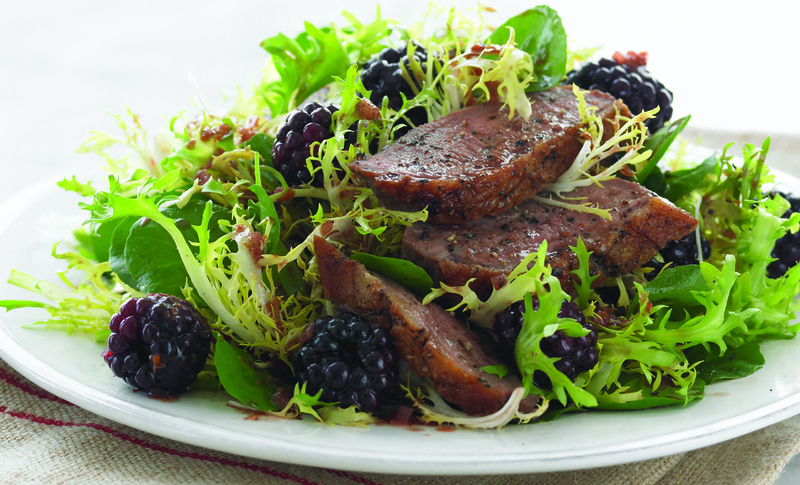 This gorgeous - and easy - duck breast recipe offers the perfect balance of sweet, tart, rich and bright, and is served on fresh greens.